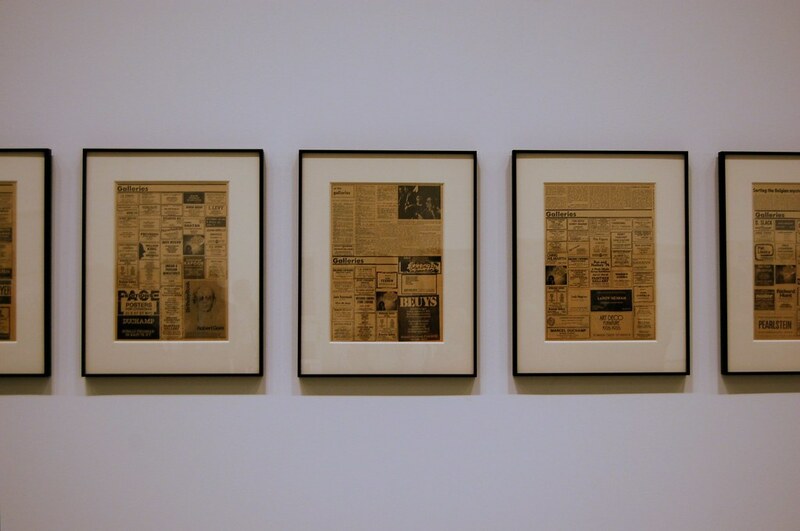 Installation view of Adrian Piper, selections from "The Mythic Being Village Voice" series, 1973-75. 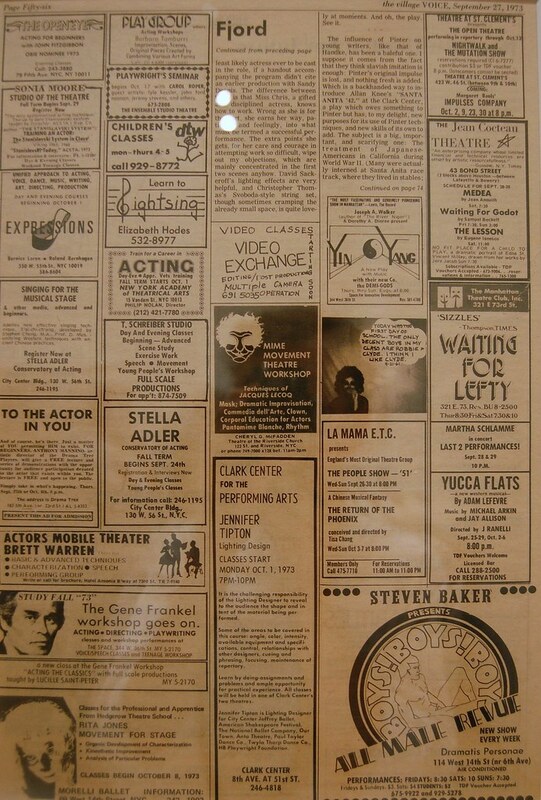 Seventeen Village Voice newspaper advertisements. Purchased with funds provided by Donald L. Bryant, Jr., Agnes Gund, Marlene Hess and James D. Zirin, Marie-Josée and Henry R. Kravis, Donald B. Marron, The Edward John Noble Foundation, Jerry I. Speyer and Katherine Farley, and Committee on Drawings Funds in honor of Kathy Fuld, 2009. There must be something in the air. After droning on about Adrian Piper's "Mythic Being" Village Voice art advertisements (as well as an earlier, mysterious ad) yesterday, I visited the Museum of Modern Art's new exhibition in its contemporary art galleries, and discovered that some of Piper's ads were hanging, neatly framed, on the wall. They are recent acquisitions and on display for the first time, according to the placard placed next to them. That means that Piper's apparently ephemeral art ads are now preserved as (1) crisp digital images, (2) Google Books documents, and (3) as single sheets of newsprint in the Museum of Modern Art's archives. Now, I wonder, who has fully intact copies of the Village Voice issues? Other things to get excited about: MoMA has said that it will rotate the ads on display during the run of the exhibition (which is slated to close September 12, 2011), meaning that visitors will be able to see every one of Piper's ads. Also, many of the ads ran in the section of the paper devoted to gallery announcements, so MoMA's full-page installations provide the added bonus of letting viewers marvel at what galleries like Pace, Marlborough, Castelli, Sonnabend, and Dwan (all regular Voice advertisers at the time) were showing on a month-by-month basic. Finally, art critic John Perreault's weekly column sometimes began on (or ran onto) the page with Piper's ad, providing a chance for MoMA visitors to catch up on some vintage criticism, which has happily and deservedly found its way into MoMA's holdings.